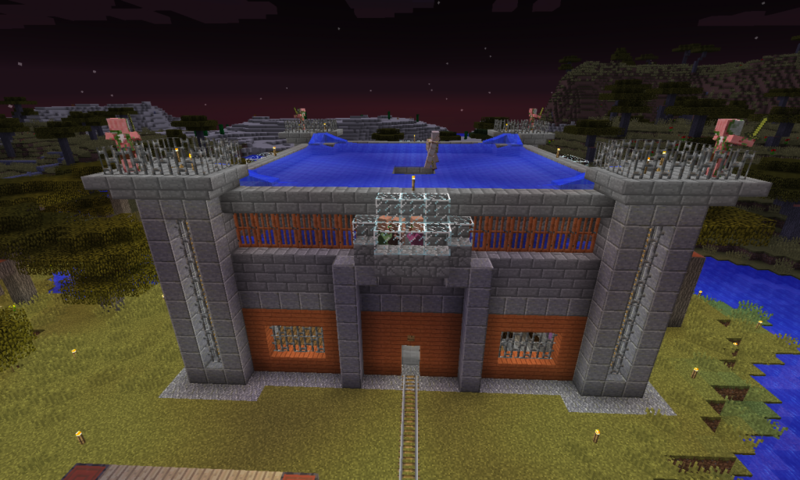 The pigmen have conquered the land and named it New Lusitania. 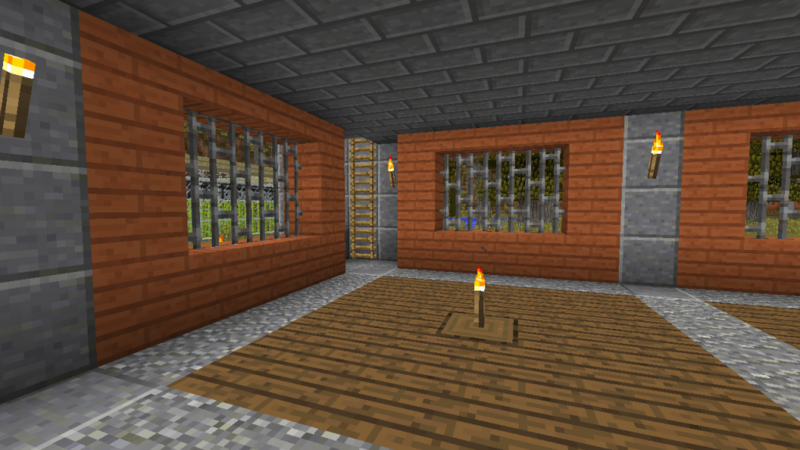 They have enslaved the villagers and trapped them in a prison that they use to summon iron golems for all of their iron building needs. 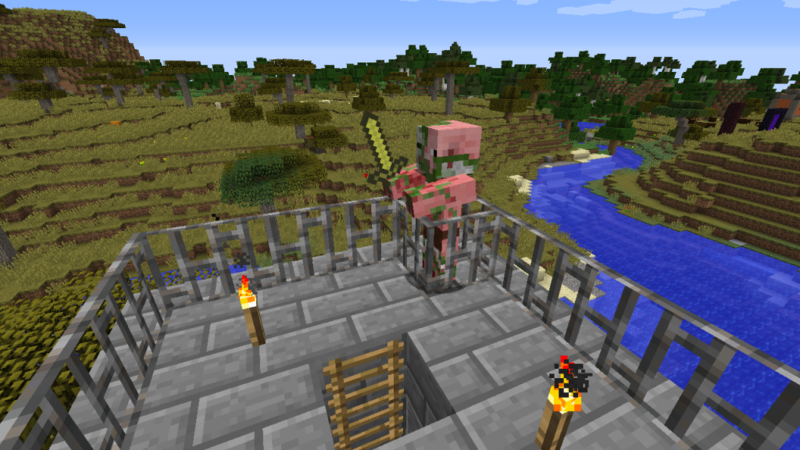 Four pigman guards watch over the prison, which has guard towers at each of the corners. 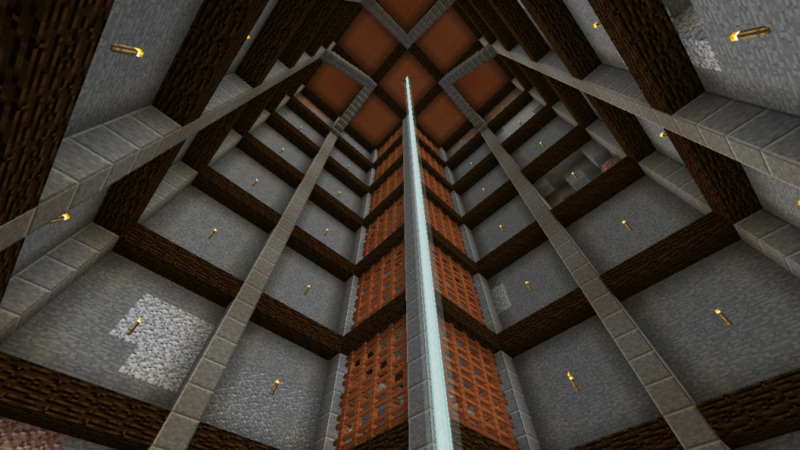 Below the farm is an open area, with stairs that lead down to the stone quarry. 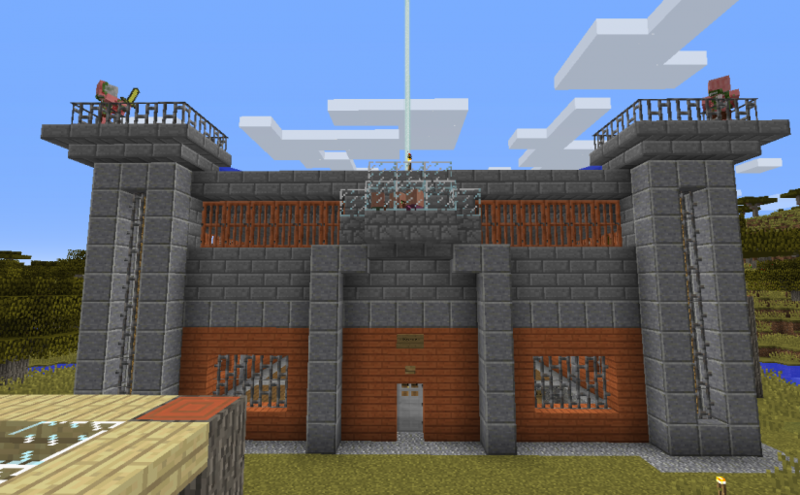 The stone quarry is the main source for the stone used to build the palace, and has a protected spiral stairway down to the lowest level quarried out. 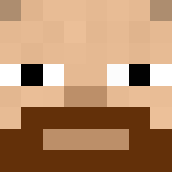 Eventually, there will be some toolsmith villagers in the stone quarry, guarded over by more pigmen, working to mine out the stone.